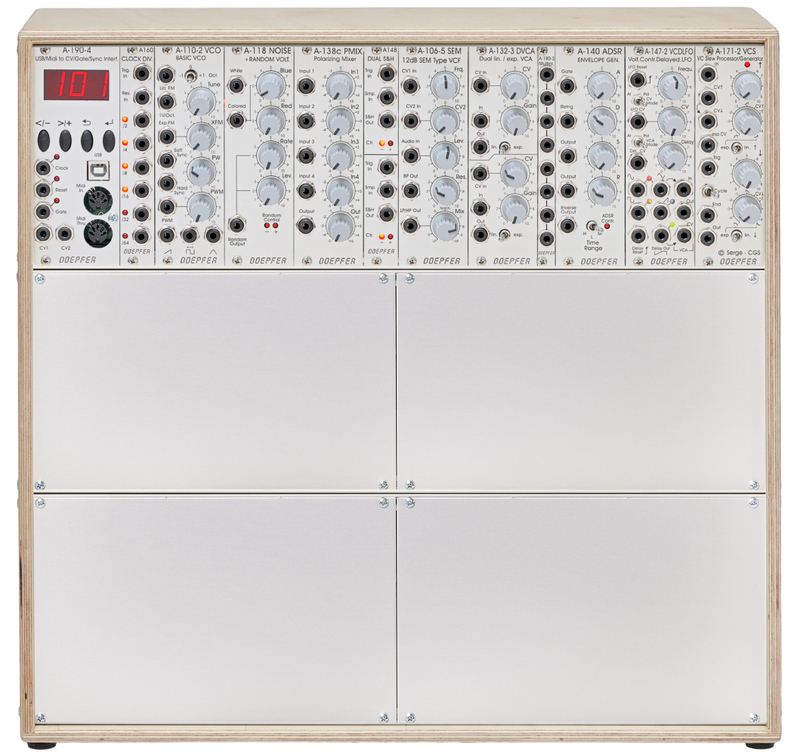 The Basic Starter System is a special combination of Doepfer modules which does not follow the usual synthesizer paths. It invites to experiment and supports "modern modular thinking". 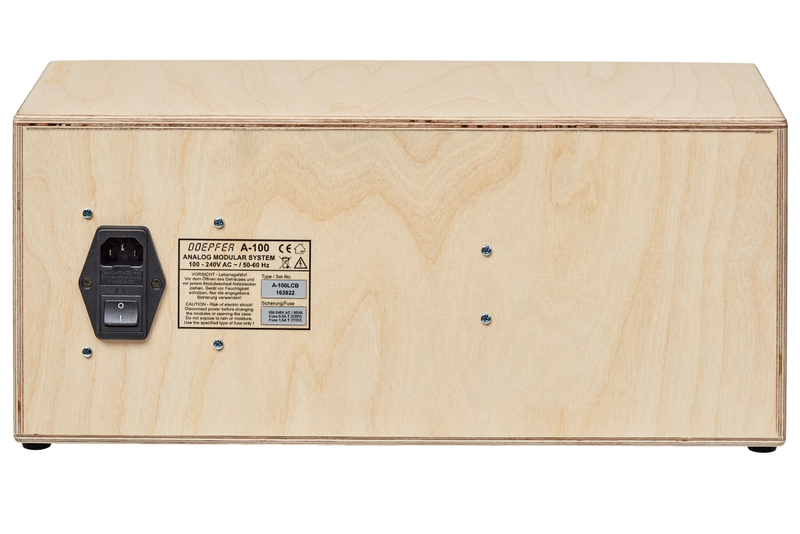 It is mounted in a 9U high wooden cabinet equipped with a strong power supply which is usable worldwide. 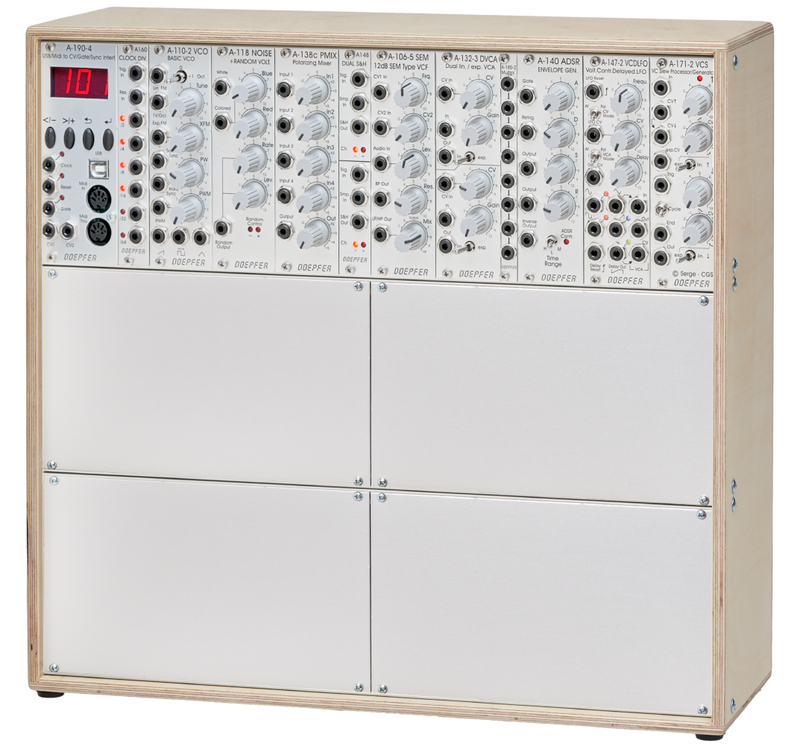 The enclosure is a LC9 lowcost wooden case with 9U heights and it has three rows for mounting Eurorack modules, each has a width of 84 HP. Usable depth for modules: 80mm near the power supply (bottom right), ca. 100mm elsewhere. Power: Strong switching power supply and two busboards, each with 14 module connectors. The modules occupy one row of 84HP width in total, the remaining row is covered with four 42HP wide blank panels. 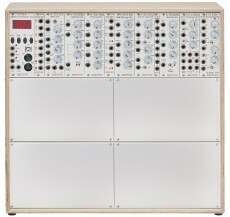 Expanding the modular system is possible for that reason.